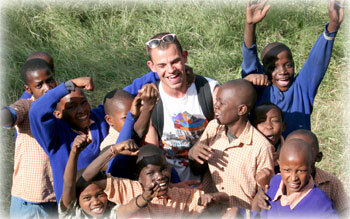 Make your Gap Year count on a Quest Expedition - click the link below to find out how. Quest4Change works in tandem with our partner organisation Quest Overseas. Thanks to this partnership, every penny of the funds raised by Quest4Change go directly towards supporting our projects overseas, with all admin and UK staffing costs being underwritten by Quest Overseas. Alongside this, Quest Overseas’ gap year expeditions provide essential and additional support for our projects with teams of hard working volunteers making a huge difference to the communities and habitats we are looking to protect. If you are looking for a worthwhile volunteer experience during your gap year or summer break, whilst having a mind-blowing time in some truly spectacular locations, check out the options on the following link. With teams going to Rwanda, Peru, Bolivia and Malawi in 2017, including wildlife conservation, community development as well as expeditions through the mountains, jungles and plains of South America and Africa, you can experience parts of the world in ways you never imagined possible.